If you're Welsh then 'Dydd Gwyl Dewi hapus!' If you're not that meant 'Happy St Davids Day' or the direct translation 'Day Saint David Happy'. We're a small country with our own language called Welsh and in some parts of Wales if you expect a good portion of fish and chips from the local chippy you'd be wise to learn how to speak it! We like singing. The letters K, Q or Z do not exist in the Welsh alphabet, CH, DD, FF, NG, LL, PH, RH and TH do and non Welsh speakers find it very difficult to pronounce them. We like Rugby A LOT but managed to throw away a pretty important game against the French last Friday. Wales is not in England. The welsh spoken in the North of Wales is very different to the welsh spoken in the South. Last time I counted there were about 3 million of us actually living in Wales. 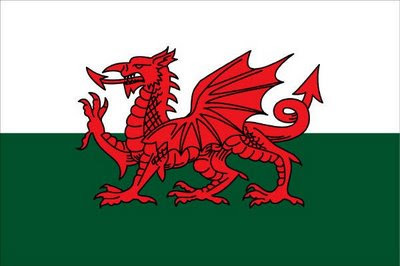 Our national flag has a red dragon ("Y Ddraig Goch") on it (how cool is that?!). You may have heard of Duffy? 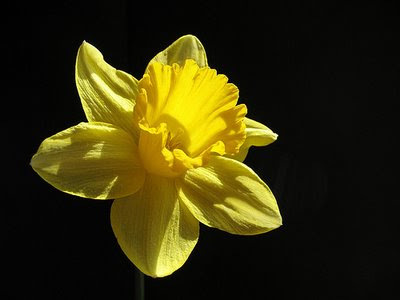 She's from Wales and we're so proud of her she now has a daffodil (national emblem) named after her called a 'Duffydil'. There are some good Welsh bands around at the moment e.g. Los Campensinos, The Joy Formidable and lots of music/culture festivals including The Green Man festival held in the South-West of Wales and a literary festival in Hay -on-Wye which is basically a town full of bookshops. Anyway, Happy St Davids Day! ope you had a lovely St David's Day.